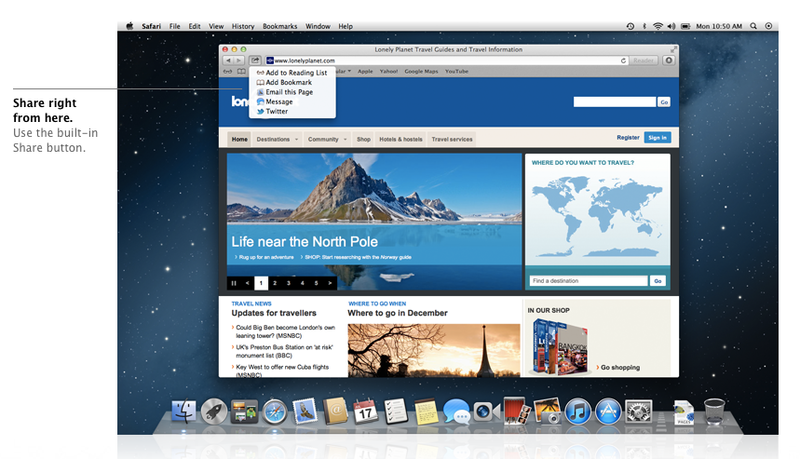 Apple has today announced the successor to its popular Mac OS Lion operating system, unveiling Mountain Lion, the ninth major release of its desktop platform which will bring more of its iOS features to the desktop. Gone are traditional messaging apps like iChat, in comes Messages, Notes, Reminders and even Game Center for Mac, mimicking the iOS features on your iPhone and iPad, also delivering Notification Center, Share Sheets, Twitter integration and AirPlay. If you wanted iOS on the desktop, you’re about to get it. Apple has released the operating system as a developer preview, building iCloud support directly into the OS, making it easy to use and easy to operate with the integration of apps. As Apple works to fine-tune the platform, Mac users will be able to upgrade to Mountain Lion via the Mac App Store in ‘late summer 2012’. 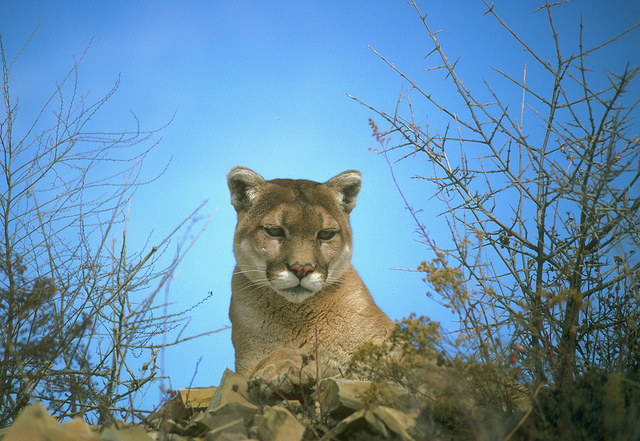 Below is an overview of Mountain Lion. We have referenced the great article by Jim Dalrymple & Peter Cohen over at The Loop to do so. Again, a big thanks to Jim once again for his assistance. Given the fact that iCloud now has 100 million users, Mountain Lion is built to maximise the service and has support built into its core. 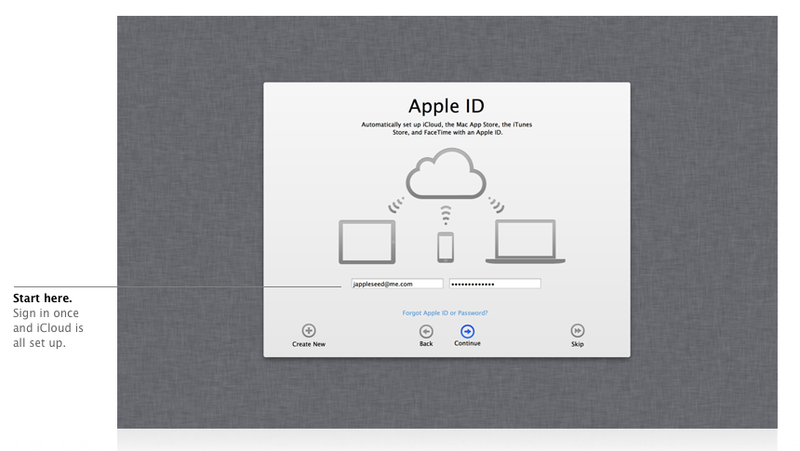 By registering iCloud in Mountain Lion, the service will then set up a number of apps and services on your system, integrating tightly with Mail, Contacts, Messages, FaceTime and a whole number of other services. So, if you have a lot of information already set up, the service will make it all available for you. Apple will push Documents in the Cloud with Mountain Lion, perhaps serving as a Google Docs and Microsoft Office 365 rival. Given it’s just a beta build at the moment, new features are set to be introduced until its release in ‘late Summer’. Apple wants to protect its customers, so it has released GateKeeper to block malware and malicious downloads. 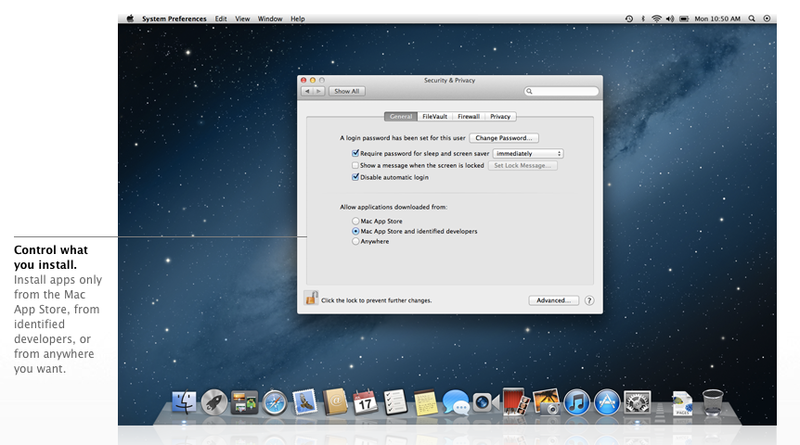 Mountain Lion is going to make it safer for users to install software and be free from the threat of malicious downloads. As part of the GateKeeper program all developers will be given a unique Developer ID, allowing them to sign their applications. GateKeeper has three basic options. Allow only Mac App Store apps to be installed; Mac App Store apps and apps signed with a Developer ID; and Anywhere, which allows any app to be installed. For me, using the Mac App Store apps and apps signed with a Developer ID seems like the best choice. I would imagine all of the developers that make the apps I use will sign them with their ID. Using this setting I can download apps from a developer’s Web site and install it without any issues, but still be safe. If GateKeeper is triggered by an app, you can still manually install or open it. All you have to do is Control-click the app and chose Open to reveal a dialog box that will allow you to install the application. Apple will allow data and information to be sent from anywhere on the computer with its new Share Sheets feature. Share Sheets are available wherever you look in Mountain Lion and provides the ability to share files and media with Twitter, Flickr, Vimeo, AirDrop, Messages and Mail services. The button is built into apps – Safari, for example, allows you to share via Twitter, Messages and Mail. 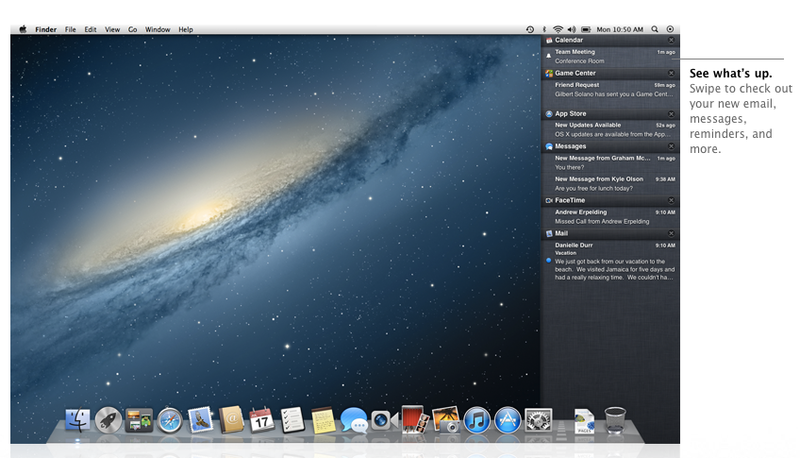 Mountain Lion works with your Twitter, Flickr, Vimeo and AOL accounts from a system level. Whether Facebook will be added to this remains to be seen, there is bad blood between the two companies. Apple has decided that its instant messaging application iChat needed an overhaul, this has resulted in iMessage for Mac. With Messages, a user simply needs to dial in their Apple ID or phone number and they can start messaging iOS devices and Mountain Lion users from their desktop. The app still supports AIM, Yahoo, Google Talk, and Jabber, so it’s iChat but with a little bit of iMessage built in. All conversations are synced between devices, so you can chat on the move and then come home to your iMac or MacBook and continue the conversation where you left off. If text isn’t enough, chats can be switched to FaceTime for that face-to-face conversation, and the app will deliver read receipts and typing indicators so you can be aware of whether someone is away from their keyboard or iDevice and isn’t just ignoring you. Messages is available for Mac owners today as part of a beta preview, you can download it here. Apple brings Reminders and Notes to the desktop too, syncing your to-do list between your mobile devices and computers for easy on-the-go access. Notes supports photos, attachments, bullets and links and all you have to do is drag a link into a note whenever you want to save something on your desktop. Like the Stickies app, you can pin reminders and notes to the desktop. Double-clicking a note opens it in its own window and it will stay open even if the app itself is closed. If you were a big Notification Center user on your iPhone, iPad or iPod touch, you will be pleased to see it has been ported to Mountain Lion, allowing you to see messages and other notifications at-a-glance. You might have loved Growl but Apple is set to do away with the neat little app with Notification Center. It will sit in the top right of your computer screen, by the Spotlight search icon on your menu bar. Like on iOS, you can choose which type of alert you want, picking either None, Banners or Alerts. Banners display for a short period and then disappear automatically, Alerts wait to be dismissed. 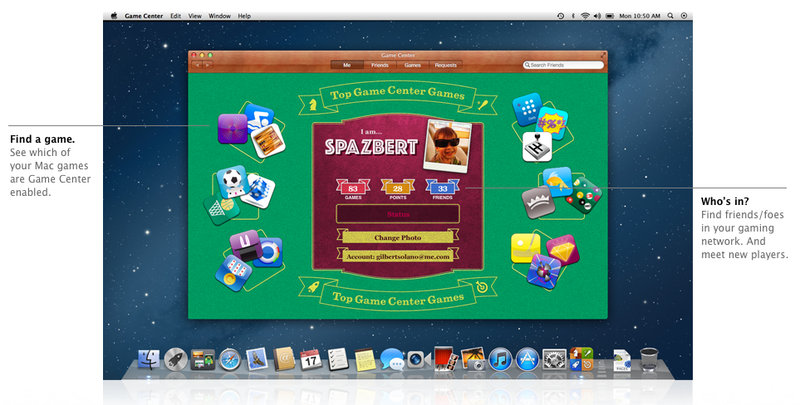 By bringing Game Center to the Mac, Apple is going to push ahead with desktop app gaming and help connect users between devices. The app allows users to find friends, discover new games that their friends play, recommend games, access a leaderboard and see the achievements they have earned. Perhaps borrowing a page from Microsoft’s playbook, Apple has introduced a feature that allows users to play Game Center on any device, so Mac users will be able to play iPhone, iPad or iPod users.